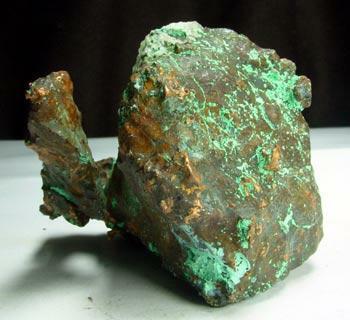 A large mass of copper in a sort of crude conical form. 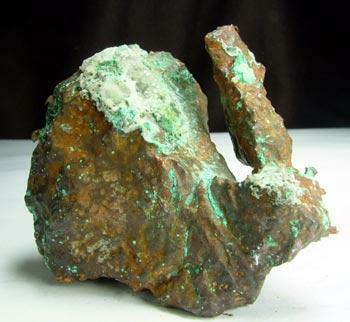 Whether it is a weather beaten crystal or a formation after something it is hard to sat, but I would suggest the former. 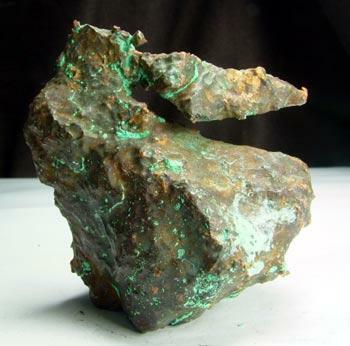 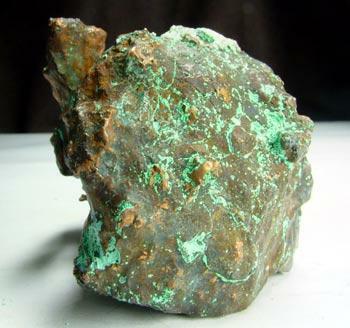 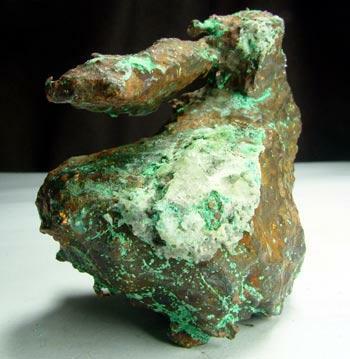 All copper with one area of calcite and little malachite "verdigris."